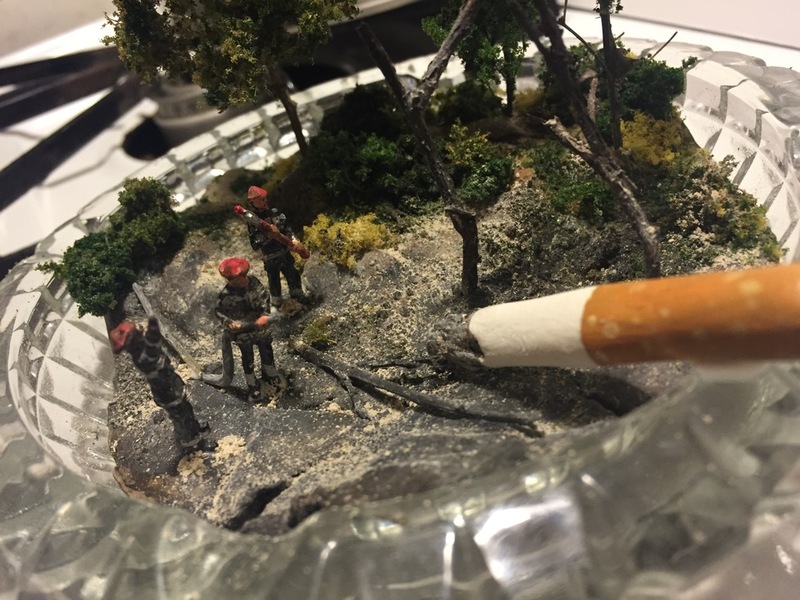 Only you can prevent tiny little forest fires. 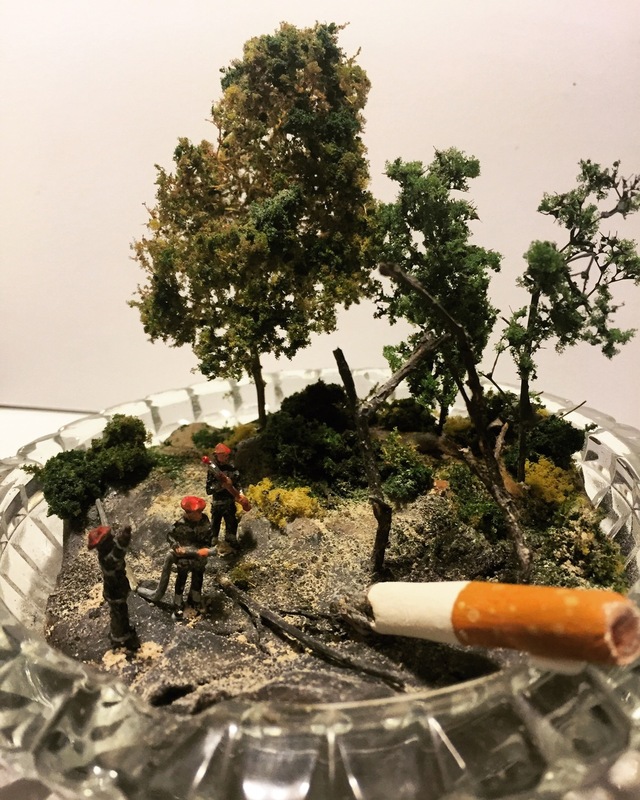 It was fun making a fake cigarette for this. It was gross using this old ashtray from Goodwill.